OLATHE, Kan./November 2, 2015 -- Garmin International Inc. today announced its continued global brand partnership with the Wings for Life World Run 2016, a running and wheelchair event to raise awareness and funds to find a cure for spinal cord injury. Garmin will once again make a monetary contribution that will help underwrite the event so that one hundred-percent of the proceeds benefit the race’s mission of research and awareness. As an active lifestyle brand, Garmin is proud to partner with the Wings For Life event and support the race’s cause and its motto: running for those who can’t. 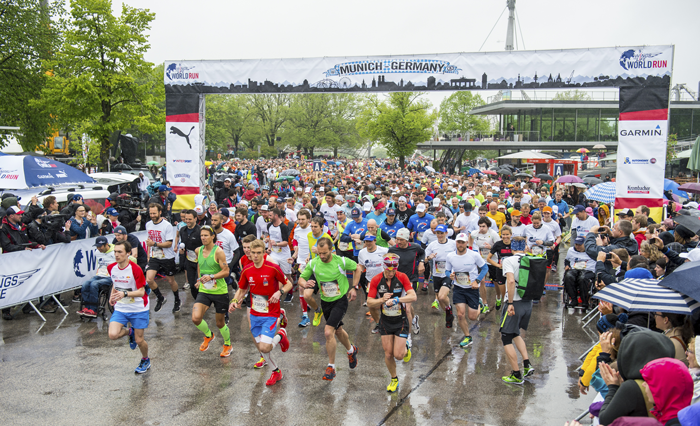 The 2016 Wings for Life World Run will be held in 34 locations worldwide on May 8. All proceeds from the race go directly to Wings for Life Spinal Cord Research Foundation. Launched in 2014 to raise funds for the Wings for Life Spinal Cord Research Foundation, the Wings for Life World Run is a running and wheelchair event for participants of all abilities with no finish line or set distance. All local races start simultaneously at 11 a.m. UTC, and 30 minutes later Catcher Cars start to chase the racers until they pass all of the participants and end their race. The last female and male participants to be caught by the Catcher Cars are awarded the title of global Wings for Life World Run champions. Garmin is committed to encouraging users to lead more active lifestyles, and offers a broad range of activity trackers and wearable devices to help motivate athletes in their health and wellness journeys, including the Garmin Forerunner® and vivo series. Designed for runners of all levels, the Forerunner series offers running-specific features including wrist-based heart rate to help users train for events like Wings for Life. To encourage users move a little more each day, the Garmin vivo series of wearable activity bands track distance, speed and heart rate, and are a perfect device for athletes of all skill-levels training and participating in this great cause. Whether it’s running, cycling, or other athletic pursuits, Garmin fitness devices have been essential tools for athletes both amateur and elite for nearly a decade. Additionally, as a leading worldwide supplier of portable navigation devices for automobiles, Garmin will also supply the Wings for Life event with GPS navigation devices for event vehicles. Registration is open now for the 2016 Wings for Life World Run, and all are welcome to sign up, from beginners to dedicated athletes and competitors who have a regular, everyday wheelchair. Every participant makes a difference. To learn more and to register, visit wingsforlifeworldrun.com. Garmin International Inc. is a subsidiary of Garmin Ltd. (Nasdaq: GRMN). Garmin Ltd. is incorporated in Switzerland, and its principal subsidiaries are located in the United States, Taiwan and the United Kingdom. Garmin and Forerunner are registered trademarks of Garmin Ltd. or its subsidiaries. This release includes forward-looking statements regarding Garmin Ltd. and its business. Such statements are based on management’s current expectations. The forward-looking events and circumstances discussed in this release may not occur and actual results could differ materially as a result of known and unknown risk factors and uncertainties affecting Garmin, including, but not limited to, the risk factors listed in the Annual Report on Form 10-K for the year ended December 27, 2014, filed by Garmin with the Securities and Exchange Commission (Commission file number 0-31983). A copy of such Form 10-K is available at http://www.garmin.com/aboutGarmin/invRelations/finReports.html. No forward-looking statement can be guaranteed. Forward-looking statements speak only as of the date on which they are made and Garmin undertakes no obligation to publicly update or revise any forward-looking statement, whether as a result of new information, future events, or otherwise.